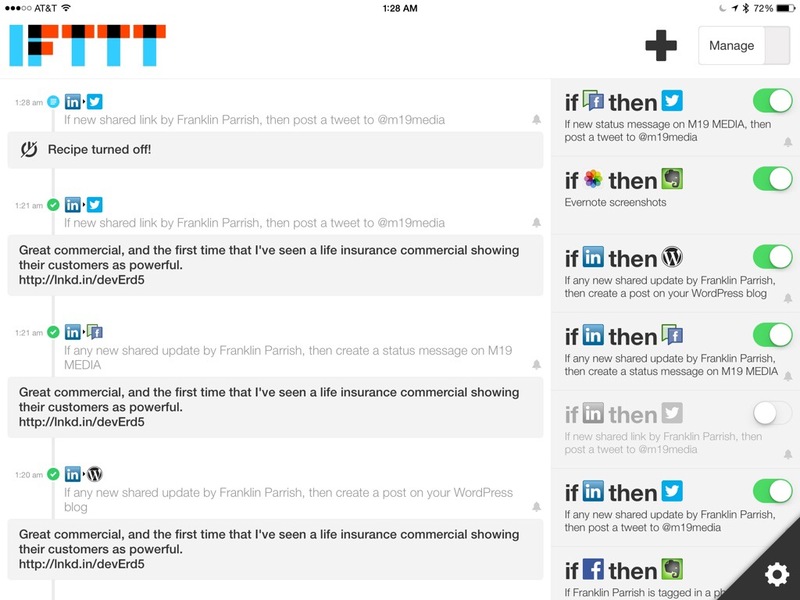 So I am spending Saturday watching SNL and browsing the App Store when I came across the IFTTT app. It is AMAZING for people who generate content across many social media platforms. 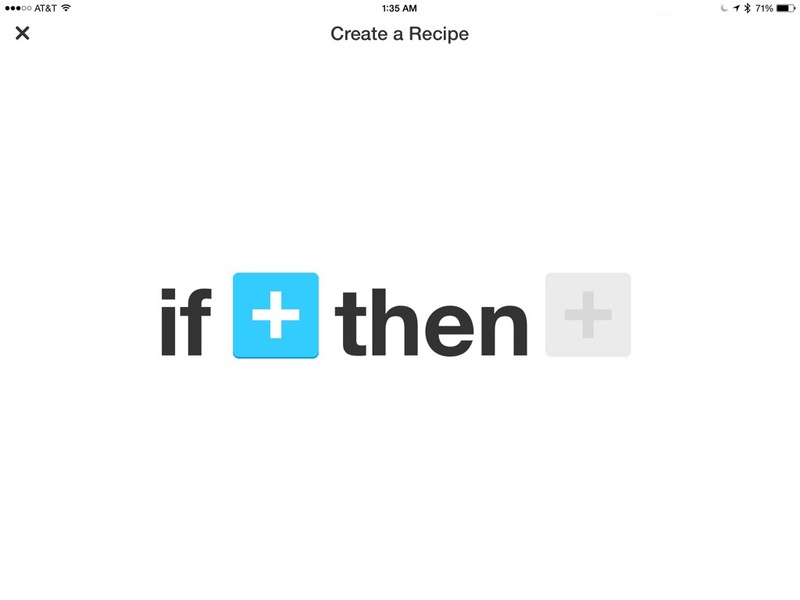 IFTTT stands for If This, Then That and it allows you to create conditional statements called “recipes” that help you manage aspects of your private and public life. Some of the recipes are private, like if you create a screenshot on your device, then a copy of that can be sent to your Evernote account or to your Google Drive. Other can be more public, like anytime you post something on LinkedIn, IFTTT automatically creates a WordPress blog entry or tweets it or posts to your Facebook page. As you can see, I have created a daily chain of content production that runs from LinkedIn to Twitter to Facebook to WordPress. It is a great way to manage my social posts. I highly recommend it if you’re looking for a way to work smarter, not harder to manage your social media presence. I’d love to hear about your experiences with this app. I am cooking up more recipes and see how much I can automate. Get it at the App Store. Just a quick shout out that an actual news agency is following yours truly at M19 MEDIA. We count @denverpost (The Denver Post) and @denverbusiness (Denver Business News) as our followers! My only question: where is the Delaware News Journal?